Arabian camels in the meadow. Camels Eat Grass. Camels in the Background of the House. a Camel is Eating Grass. a Camel on the Field. a Camel Chews Grass on the Field. 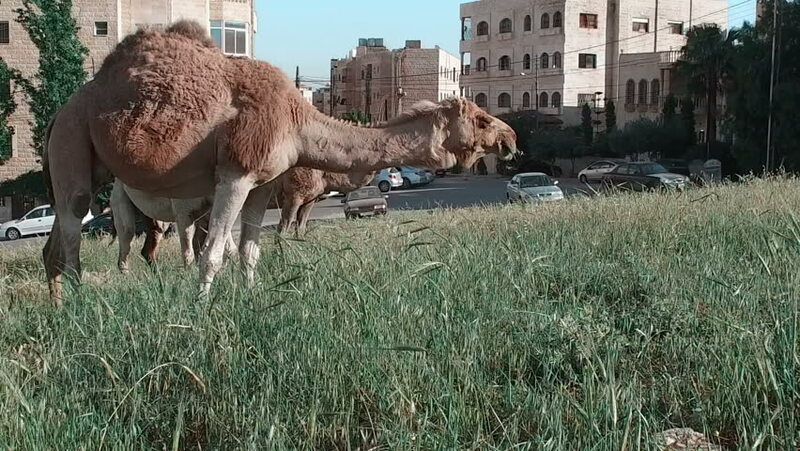 Camels in the City Eat Grass. hd00:37A coyote hunts for pika among the legs of mules.